It’s fair to say that a hard Brexit will bring about some significant changes to the way we drive abroad. One of these changes could include the need for a new piece of paperwork. The Department of Transport has warned that if the UK leaves the EU wihtout a deal, drivers crossing the border into Europe might need to have a Green Card from their insurer. That's in addition to taking an International Driving Permit with you. Getting a Green Card from By Miles. 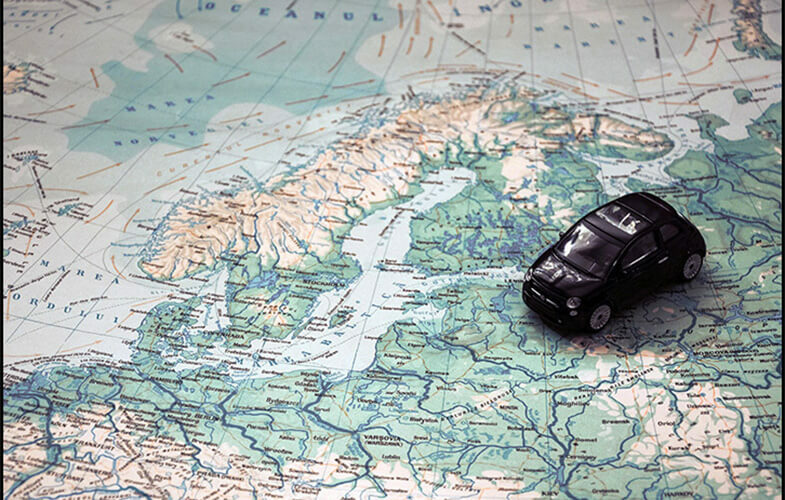 At By Miles, we already offer fully comprehensive car insurance in European Union countries for up to 90 days, it’s included as standard with all our pay-by-mile policies. If you've got a policy with us and are driving into Europe any time soon, then you'll need to get a Green Card. Just get in touch via the live chat in your app and we can get one posted to you. So, what’s the current situation? Many years ago, the Green Card used to be common, but most drivers these days may never have seen one. Right now, the UK is a member of the EU’s ‘Free Circulation Zone’, which means UK insured drivers automatically have minimum compulsory insurance in all of the EEA plus Serbia, Switzerland and Andorra, and don’t need to carry a Green Card. If you’re travelling outside of European Union countries, you either need to get covered by an insurer in the country you’re visiting, or add cover onto your UK policy. If you choose to add it on then you need to get a Green Card from your insurer. The Green Card is a certificate that proves the driver has at least the minimum compulsory insurance required by the country being visited, and that if they get into an accident, their insurer will pay. This certificate is recognised in 48 countries and managed by the Council of Bureaux. Because it’s internationally recognised, you can hand to the authorities at the border to show them you’ve got valid insurance for that country. Unsurprisingly, it’s also green in colour. 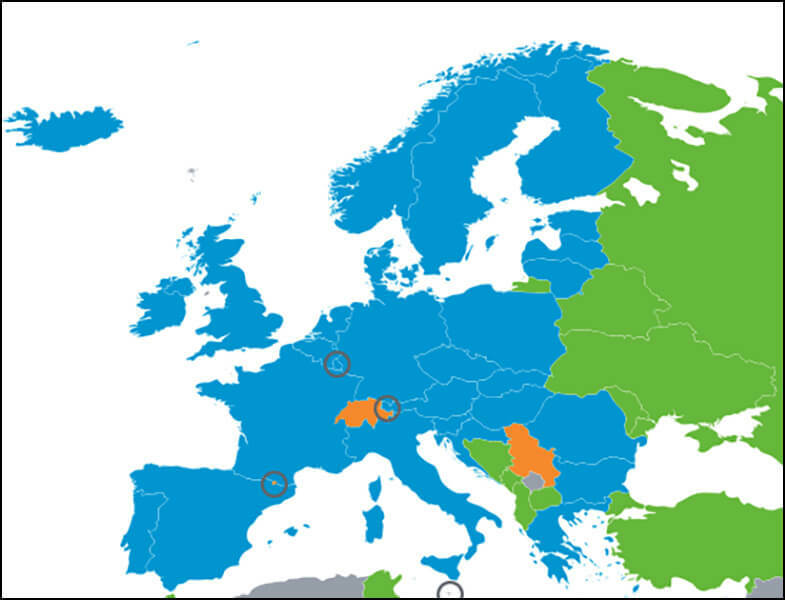 You can visit the Council of Bureaux website to see all of the countries that you can drive through without a Green Card right now (in blue below), and those that you can freely drive through once you have a Green Card (in green below). How might this change in the future? All of the above could change post-Brexit. While the UK Government wants to keep the UK in the ‘Free Circulation Zone’, this decision is subject to formal approval from the European Commission. It was thought earlier this year that the Commission would give this approval, but the Department for Transport has previously said that this is not a done deal. That means that the map you saw above may become totally green for UK drivers after Brexit. Then, just like you’d need to do when visiting countries like Russia, Turkey and Ukraine at the moment, you’d need to take a Green Card with you when travelling to EU member states. So, if you’re getting the Eurostar over to France that summer driving trip, or visiting relatives in Southern Ireland, you’d need to take a Green Card with you to prove that you’re insured. How many drivers will be affected? Unlike many other insurers, in order to offer real time car insurance by the mile, we need to know the types of journeys our members go on each year. About 7.5% of By Miles customers take trips abroad, with the most common times for road trips being the Summer, Easter and Christmas holidays. If that holds true across the rest of the population, then 2 million car owners in the UK might need to start adding a Green Card to their holiday packing list. Can’t you just email me a Green Card? Unfortunately not, the authorities aren’t even permitted to accept a photocopy of the Green Card, so you have to carry your Green Card with you for the whole trip. This post was originally published on 25th September 2018, and was updated on 18th March 2019.